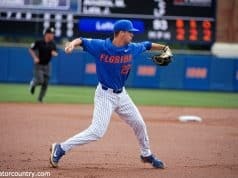 Florida and Auburn will play a rematch series with a trip to the Omaha and the College World Series on the line. The Tigers were not a national seed and had to go on the road last week to play in the Raleigh regional. Despite being on the road the Tigers swept through the regional in impressive fashion. They beat Northeastern 13-4, Army 12-1 and host N.C. State 15-7. 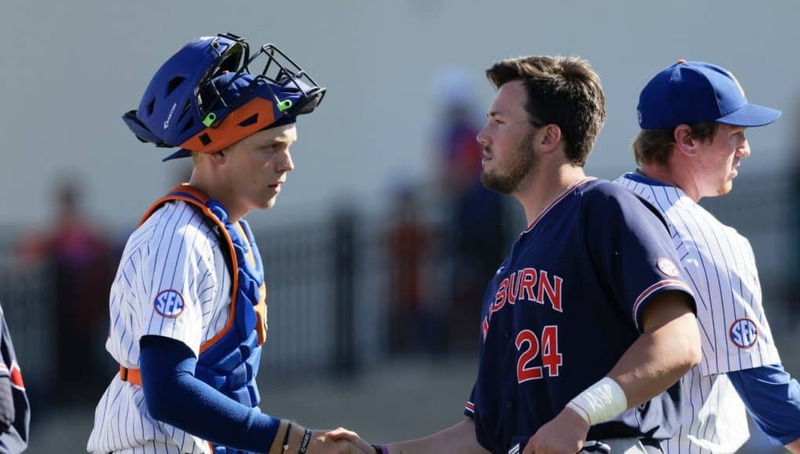 This weekend will feature four first round picks including the top overall selection in Auburn’s Casey Mize. 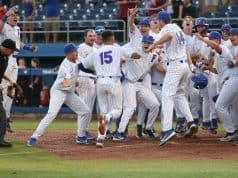 This is the 10th time Florida has reached a Super Regional and the second time the Auburn Tigers have. 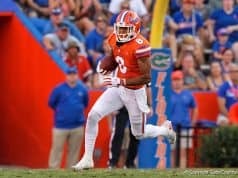 The two teams played earlier in the season with Brady Singer out-dueling Casey Mize on Friday before the teams split the next two games with Florida taking the series. Singer and Mize will be in the spotlight again this weekend, facing off for the third time in their careers.